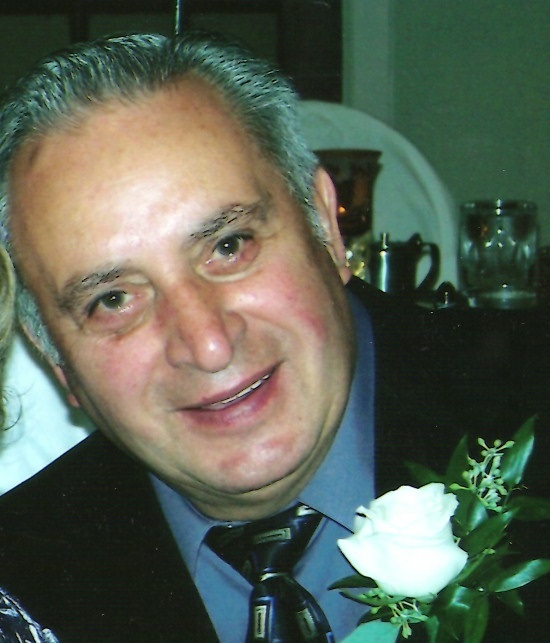 Obituary for Louis Esposito | Shore Point Funeral Home and Cremation Services, Inc.
Louis Esposito, 85, of Union Beach, New Jersey, passed away peacefully surrounded by his loving family on March 17, 2018 at Bayshore Community Hospital in Holmdel, New Jersey. Louis was born in Brooklyn, New York on September 20, 1932. He lived most of his life in Brooklyn, until 2001 when he retired to Union Beach, New Jersey. He was a retired butcher with many years of service at Waldbaums Food Stores in Brooklyn. He was predeceased by his parents, Frank and Josephine (Tumminia) Esposito, his beloved wife, Louise Esposito, and his siblings, Antoinette Cervone and Frank Esposito Jr. Louis is survived by his beloved children, Frank Esposito and his wife, Maria, of Lambertville, Michigan, Joseph Esposito of Las Vegas, Nevada, Louis Esposito Jr. and his wife, Kerry, of Monroe Township, New Jersey, Debra Burtone and her husband, Sebastian, of Hazlet, New Jersey, Robert Esposito of Union Beach, New Jersey, and Lisa Greco and her husband, John, of Old Bridge, New Jersey. Louis was a cherished grandfather to Peter Burtone, Frank Esposito, Nicholas Burtone, Louis Esposito III, Brianna Esposito, John Greco Jr., Lauren Esposito, Stephanie Burtone, Thomas Burtone, James Greco, Melissa Esposito and Jordan Greco. Louis was a dear brother to Joseph Esposito and his wife, Marianne, along with being a cherished uncle to many nieces and nephews. He will be sadly missed but never forgotten. Family and friends are invited to visit on Monday evening March 19, 2018 from 7:00 to 9:00 PM, Tuesday, March 20, 2018 from 2:00 to 4:00 and 7:00 to 9:00 PM, and Wednesday morning March 21, 2018 from 8:00 to 8:45 AM at the Shore Point Funeral Home and Cremation Service, 3269 State Route/ Highway 35, Hazlet, New Jersey 07730. A Mass of Christian Burial will be offered on Wednesday morning, March 21, 2018 at 9:30 AM at Holy Family Catholic Church, 727 Highway 36, Union Beach, New Jersey 07735. Entombment will follow at Woodbridge Memorial Garden Mausoleum, Woodbridge, New Jersey. For information, directions, or to send condolences to the family, please visit, www.shorepointfh.com.